It is never helpful to a consumer products company like a winery to have its dirty laundry out in public. But that is just what has happened to Therapy Vineyards, the fine Naramata winery involved in a tumultuous divorce between one of its founders, John McBean, and the rest of its shareholders. Late last month, British Columbia Supreme Court Justice Eric Rice handed down a judgment that confirms the 2008 removal of McBean as general partner. The judge noted that “the insults travelled in both directions” between McBean and the investors who revolted against his management. There is at least one more shoe to drop. McBean still has an action before the courts involving payments allegedly due to his management company. While none of this should impact the quality of Therapy’s wines, it certainly distracts the current managers from running the business in a competitive market. McBean is an Alberta businessman and a long time wine lover. For many years, he ran the Opimian Society in southern Alberta. During an Opimian Society wine tour in the Okanagan, he discovered that the property and vineyard of the original Red Rooster winery was for sale. 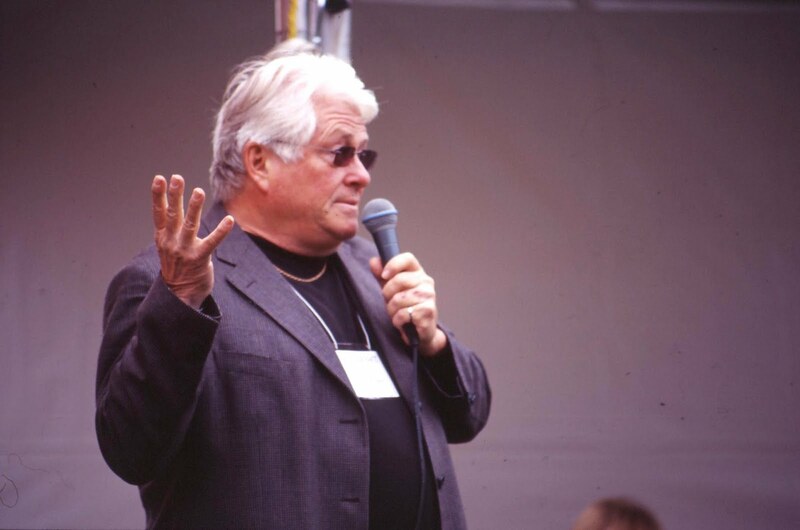 He put together a limited partnership to raise the necessary funds and, in 2004, the partnership bought the property. The following summer, they launched Therapy Vineyards, a name inspired by the serene beauty of the vineyard. 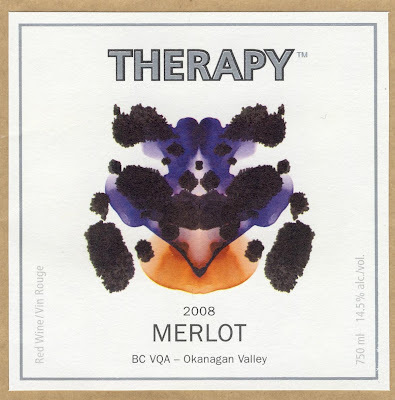 The winery’s labels mimic Rorschach inkblots, a controversial tool of psychoanalysts. Now, there seems a certain irony in that, given the dysfunctional relationships among the winery’s owners. By that time, Therapy had begun building its current winery, a well-equipped facility with the capacity to produce substantially more wine that it was then making. The issue came to a head at a May 7 meeting. McBean was asked to resign and refused. Then at a May 29 meeting of the investors (there were 126 owning 175 partnership units), the investors voted 145 to nothing to remove McBean as general partner. Several days earlier, he had made a pre-emptive strike against what he considered a “palace revolt.” He fired Marcus Ansems, the winemaker and general manager the winery. He also fired Rachel Ansems, the winemaker’s wife who was the winery’s accountant and he got rid of the winery’s accounting firm. The Connors group responded on June 8, 2008, by putting Therapy Vineyards in the hands of Grant Thornton Ltd., a receiver, in order to stabilize the business. McBean had replaced the tasting room staff with employees who had limited experience with making sales and who lacked the necessary Serving It Right certificates required by liquor regulators. In the case that came before Judge Rice, McBean was challenging his messy removal. The judge found that procedural errors made by the investors were not serious enough to reverse McBean’s removal, given that the investors had twice voted overwhelming to get rid of him. mystery always adds to the story whitch help sell the wine.